If you’re in a house divided between Android and iOS and you share a car that’s divided between Android and iOS than pay attention, Pioneer may have just introduced a head unit, or three, that are perfect for you. Pioneer introduced the second generation Networked Entertainment eXperience (NEX) in-dash receivers for 2015. Consisting of the AVIC-8100NEX, AVIC-7100NEX, AVIC-6100NEX, AVIC-5100NEX and AVH-4100NEX, the latest NEX models feature expanded smartphone connectivity and enhanced audio/video capabilities. All of the new NEX head units feature Apple’s Car Play, three of them also feature Android Auto which expands Android to the car’s infotainment system in a way that is purpose built for driving. 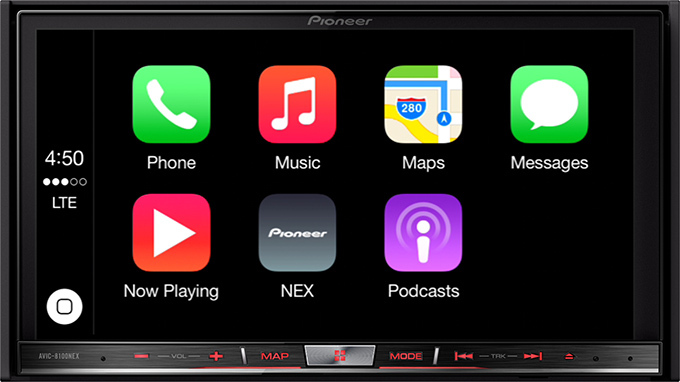 The NEX models also include Pioneer’s AppRadio® Mode, advanced Bluetooth®1 capabilities, MirrorLink® compatibility, Pandora® internet radio, SiriusXM-Ready™, iDatalink® Maestro™ support, and FLAC file playback. The AVIC-8100NEX ($1,400 SRP), AVIC-7100NEX ($1,200 SRP), AVIC-6100NEX ($900 SRP), AVIC-5100NEX ($750 SRP) and AVH-4100NEX ($700 SRP) will be available in March 2015.